It's such a beautiful sunny winter day today! What a difference from the last few blizzardy ones. I'm so grateful for the sun, that "drip drip drip" that used to annoy me at times now makes me happy because I know that if the roof snow is melting, so is the snow on the ground! Yesterday we had the leftover Mexican Lasagna that I'd made the night before so I don't have any delicious menu pictures to include today! Tonight we have to eat that pork tenderloin that's in the fridge! I had a potato dish planned for St-Patricks, but we'll have that another day. We will definitely be having Irish Coffees for dessert/digestif though! I have a wee bit o' Irish in my blood, but my roots are mostly Scottish. Still though, I love to create in the kitchen so any holiday or special day is an opportunity for me to make the day unique and fun! Any special menus planned? Every month, my boyfriend tries to get me a new or used cookbook. Even though this one is used, it's new to me! A lot of these are out of print or just not available anymore so we buy a lot of used books on Amazon. Sometimes they're as low as a dollar and you just have to pay $6 for shipping. 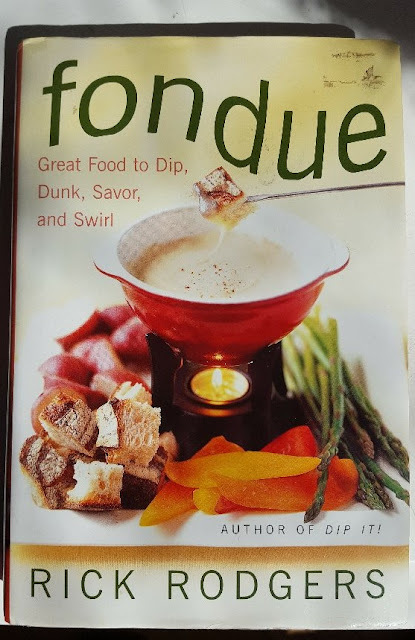 So this month I got a Fondue book! It's so wonderful! It's the same author who wrote my Comfort Food and Breakfast Comforts cookbooks. There are four sections. 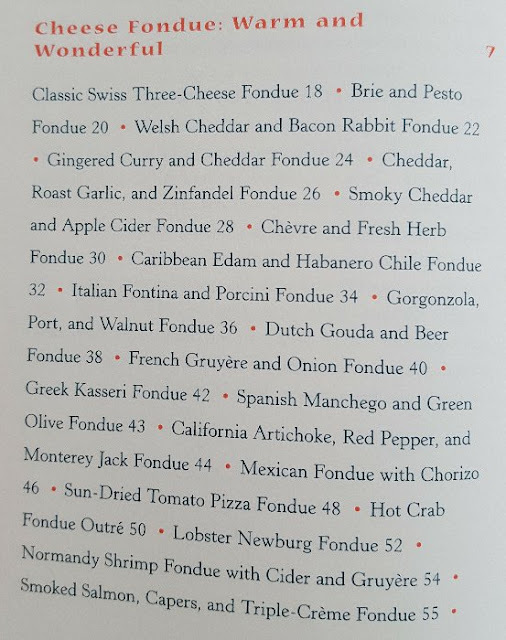 My favourite is the Cheese fondues. Then they have Fried fondues (where you use oil to cook the meat), Hot Pots (which most people, including us call Chinese fondue) and Dessert fondues - oooh the chocolate possibilities! He's not ensuring any kind of weight loss giving me cookbooks like this I'll tell ya. :) We love fondues...I see lots of them in our future! We do however, need a good ceramic pot for the cheese and dessert fondues. We have a stainless steel one we already use for hot pots. I'm excited about this cookbook!!! Look who was at the bird feeder today. 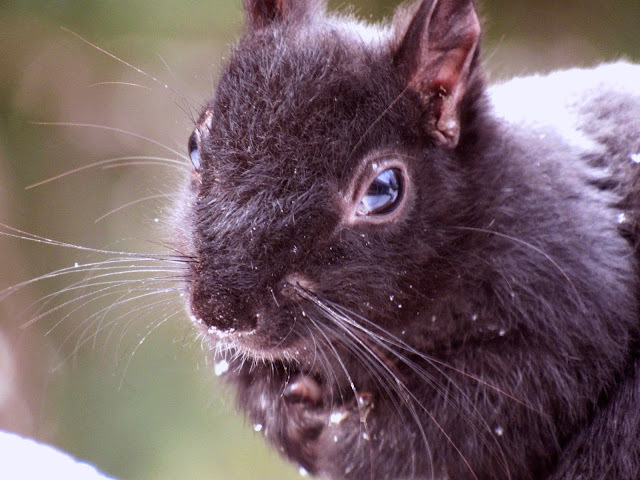 A beautiful black squirrel. We used to see them a lot but in this area, they are kind of rare, they're so pretty! Never saw a black squirrel, probably lives in a chimney. Lately I've been thinking about hauling out the fondue pots too. We'll see if I actually get around to it! I'd make a nice cheese fondue for bread and a broth-based one for meat & veg. Many years ago, a Quebecoise friend of mine taught me her broth-based recipe for la fondue chinoise and I've never used an oil-based fondue since! We used to make cheese fondue (many different kinds) all the time back in the 80s, but haven't in ever so long. I think we still have the pot and forks packed away in our storage shed. Cheese fondue and wine? Lovely. Not that it was a fondue, but this post made me think of the tempura a Japanese friend of ours made. She prepped all kinds of meats and veggies which we dipped in her wonderful coating mix and then into the oil in the big tempura pot in the middle of the table. Whenever we were invited for dinner at their home, I would unashamedly request she make tempura. Soooo good! Your black squirrely friend is beautiful. I never knew there was such a creature. Hi Mama Pea :) I'm going to keep an eye out for a nice used fondue pot, the one everyone likely thinks of (or is lucky enough to have)...The Orange One that seems to be in every cottage and home :) Buying a new one would be out of the budget right now and when we have cheese fondue, we just eat right out of the pot. I'd like to fancy things up a little :) Oh gosh I LOVE TEMPURA!!!! I guess it's kind of a fondue because it's cooked in hot oil, just that everything is coated!! I used to love tempura veggies, I had that in restaurants a long time ago, but haven't ventured into fried foods too much at home...I've mentioned that hot oil smell that kinds of turns us off! 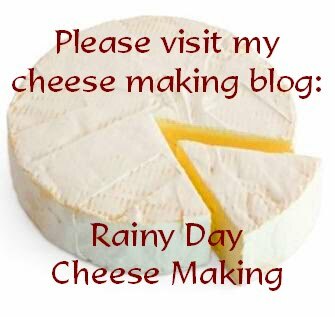 Ooh, there are so many things to dip in cheese that I'm drooling right now lol! Hey Nik :) I think fondue is such a treat! I think I might mess up my meal plan this month and make a fondue from the book...Oh wet snow is NOT fun. I don't want to see another snowstorm!!! Yeah, the black squirrels are so cute! I have never seen a black squirrel before. We just have the red and grey squirrels where we live. Such spectacular coloring. We have a fondue pot but seldom make it - which strikes me as odd, as we have always enjoyed them in restaurants and they are so terribly expensive. Sadly for my calorie intake, my favorite is dessert fondue - chocolate and marshmallows cannot be beat. I think I'm getting to the point where flavour and comfort is more important than calorie intake!!! He has quite the array of dessert fondues, some don't even have chocolate in them, there is a Tiramisu one that I will be trying out as soon as I can afford the ingredients. I love fondue, it's such a fun meal to have! The black squirrels are in between the little red ones and the big grey ones, just to give an idea of their size and they're a little more skiddish than the grey ones. Very nice to see one! Love your black squirrel. We had white squirrels where I used to live and I remember seeing black squirrels in Washington DC. Very pretty. Oh boy, do I love that squirrel <3 He's so adorable. My Boyfriend is often buying second hand cook books, we sit and read them sometimes like novels! Hi Leigh :) I've never seen a white squirrel! I've been so used to having the same fondues all of my life, having a cookbook full of new recipes is exciting! I want to try them all!!! 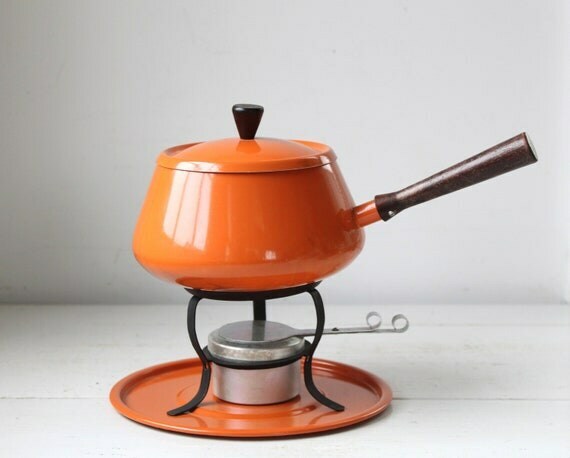 Years ago when I was a young bride we used to entertain with fondue parties and I even got a beautiful enamel fondue pot for a wedding present but alas I must have sold it in a garage sale...I wish I hadn't now! the cookbook looks good and what a deal on Amazon...I usually buy used from Thrift Books and 3 books usually gets me free shipping. Check then out as I bet they have lots of cookbooks! the only other black squirrel I've seen a picture of was from my friend Connie in MN. I think they like it cold! Glad the sun is shining....it was shining here today too and 75! Sorry, but it was 26 just a few mornings ago....crazy Spring! Hi Sam :) You know, it's really hard to find a nice ceramic fondue pot without paying a fortune now. We'll be hunting one down at a garage sale or thrift store this summer for sure because even on Amazon, they are mostly stainless steel, despite looking like the old orange cheese pots. Thanks so much for the suggestion for Thrift Books. I just checked them out, they have a lot of Williams Sonoma books :) And it's not too bad, even with the exchange rate, the shipping isn't much more than what we pay on Amazon.ca. 75????? That is NOT FAIR!!! :) Lucky you! 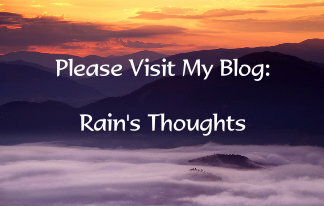 Hi Rain! Just catching up from the weekend....always something to do on the weekends! I have only ever had one fondue in my life before! How sad is that?!? :) I think a cheese fondue would be the top of my list, followed by a chocolate one :) I would rather have dessert than a proper meal any day! 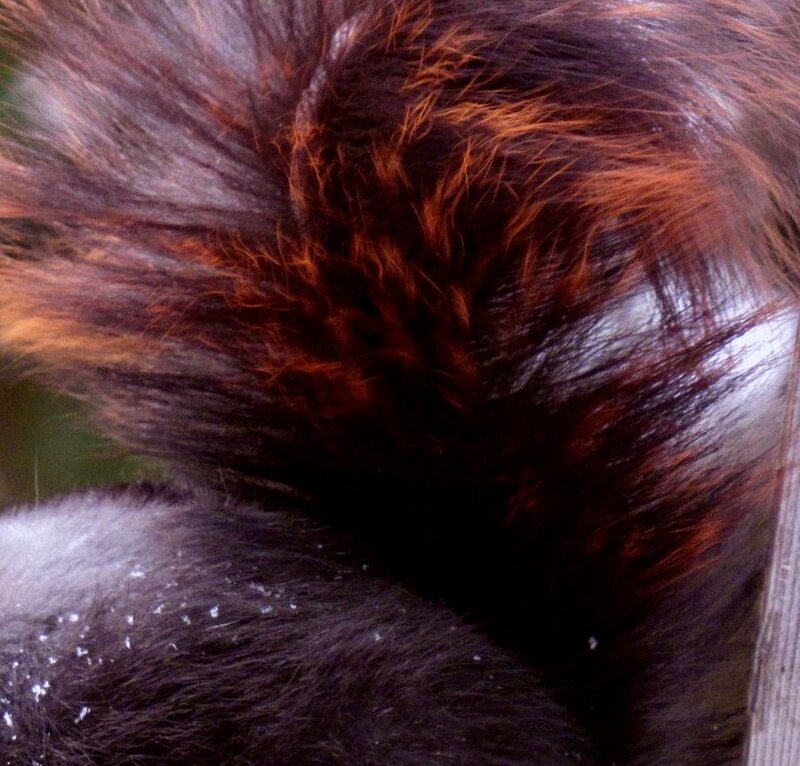 I have seen black squirrels before in Southern Ontario (my husband is from there). They are unique! We have the usual small red ones here in Manitoba, but last year I saw the red ones but 2 had white tails. So strange! Obviously a genetic throwback of some sort. Then in the fall when I was walking Karma I noticed one had met its fate with a car on the road. All I could see was its white tail sticking up, the rest of him was flat. :( I hope the remaining one comes back. We have been melting albeit slowly. They are predicting snow for tonight. Of course they are, its the prairies! :) But we are to reach about 5 degrees today so I am happy. Off to read more posts! That's sad about the squirrel. I get very emotional when I see animals have been struck by cars. I hope your squirrel comes back and finds a mate!! Your St-Patrick's day dinner sounds good! I have to try to make corned beef hash one of these days, I do have a recipe for it!